We’ll start by noting that 47 is a Lucas number, which are closely related to Fibonacci numbers. There are 235 synodic months (SM) in the 19-year Metonic cycle, which is 47 x 5. The next Lucas number after 47 is 76, which is 4 x 19. Therefore in a given 76 year period there will be 4 Metonic cycles and 47 x 5 x 4 synodic months including 20 (5 x 4) eclipses. Although we’ve said the Metonic cycle = 235 synodic months (47 SM x 5), closer study shows one SM is ‘lost’ every quarter precession, which accounts for the approx. 2 hour time difference between 235 SM and 19 tropical years (TY). The ‘-1’ tells us it’s the end of the period, which consists of 339 Metonic cycles. After one quarter of the precession period one whole synodic month is ‘lost’. In 76 TY there are almost 940 (47 x 20) synodic months. The difference between the two 1.617~ numbers is due to the 2.09 hour period explained above. All the above links lunar eclipses, Metonic cycles and Phi to Stonehenge. ‘The Bluestone Horseshoe, consisting of 19 upright columns at the monument’s center, could predict successive lunar eclipses. This was done by placing a stone marker on top of a pillar at one end of the horseshoe during a lunar eclipse, and moving it to the adjacent pillar every full moon. ‘Stonehenge builders could have kept track of lunar eclipses by moving rocks around the monuments inner curve of 19 columns called the Bluestone Horseshoe. Placing a rock on top of one of the horseshoe’s outermost columns during an eclipse and moving it over one column every full moon, the marker would stand atop the center column during a full moon 47 months later, a moon that would be eclipsed. The trick that complicates this explanation, however, is that more than one lunar eclipse would have been visible from Stonehenge every 47 months. 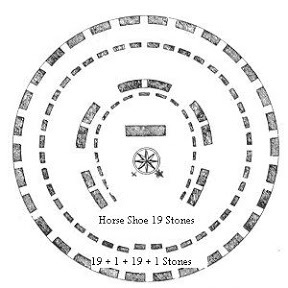 The keepers of the stones could have had more than one rock traveling around the Bluestone Horseshoe at once, In fact, there may have been as many as six, depending on the frequency of eclipses. Maybe the Stonehenge people could have worked out by observation that there was about a two hour difference between the Metonic cycle and 235 synodic months. That would then have enabled them to figure out how many of those ~2 hour periods would be needed to fill a whole synodic month (i.e. 339). That in turn would have told them it would take 339 Metonic cycles for that to happen, if their observations were accurate enough. In 19 years from now and without mechanical clock (and ref? ), to be precise. No kidding, I’m keen to learn what is/was possible, with-/-out ref time, for naked eye observers. The Metonic cycle would normally end on the expected day but at a slightly different time than the last one. If they could measure lunar periods they should have been able to work out portions of a single Earth day. Lunar eclipses happen during nighttime, not during sunlight time at your loc. We’re talking about a time differential (a few millennia in the past) so the actual time of day is not the key issue. Metonic cycles don’t necessarily start and end with an eclipse AFAIK. @oldbrew, even time differentials are intervals with start/stop at their ends. @oldbrew Re: Metonic cycles don’t start and end with an eclipse. OK, let’s forget the eclipses for a moment. The 19 year Metonic cycle is slightly less than 235 synodic months. This is the difference under discussion. ‘A lunation or synodic month is the mean (average) time from one new moon to the next.’ – Wikipedia. Nobody can measure the hour/minute of new moon except during eclipse and at your loc. C: There are ways and means – but whether the Stonehenge folk were using any of them is obviously not clear. In 2021 years all gas planets will be on the same side of the sun. Cycle 25 will be very interesting. The eclipse cycle called an ‘octon’ is 2 Inex minus 3 Saros = 47 synodic months (716 – 669). It’s exactly one fifth of the Metonic cycle and just under 1.457~ days more than 4 draconic years. Thanks for your note on 2021. Please could you speculate on the likely outcome. What has happened in the past when this configuration has occurred? The harmonic mean of the + side of the JSUNEV beat matrix is 9.076484586 and that of the – side is 6.418592739. Stonehenge designers knew about the QBO long before contemporary explorers. The first question I would ask is whether, from evidence, is the structure meant to elevate human vanity (eg burial mounds or pyramids, cathedrals, palacial opulence > greek temples etc) or a pragmatic/practical and therefore of economic value? I say the latter, but not only as an eclipse prediction (for some priesthood to impress) but for a more direct economical benefit to the builders, say a complex calendar. (Whose brain-child is it? The brain of a cult fanatic works very differently than that of a techno-analyst). Second question: when was it built? Before 2345 bce? (echoes of Dodwell). Were the many events that occurred around 2300 bce a determining factor on how stonehenge evolved and used? Earth and lunar orbit time may be quite constant, but constancy of day length I would question. Despite Professor Hawkins book on the astronomical alignments at Stonehenge and the significance of the car park post holes by C. A. Newham – see overview at my word press blog – the archaeological establishment rarely mentions the alignments in any programme about Stonehenge. They tend to be repeating the debate on the bluestones and how to move the stones and suddenly ‘discovering’ that Stonehenge was built as an acoustic performance stage, a centre of healing, a cemetery for the elite, and an ancient team-building exercise. It may have become all of these over time, but surely it is obvious that it’s primary purpose was an astronomical observatory. Now if it could predict eclipses that would give the predicters a tremendous power over the population as documented by Captain Cook when the natives wouldn’t give him supplies. I would love to see a decent science programme that explored the astronomical alignments at stone monuments and their implications, with arguments for and against. With stunning computer graphics it would be a wow but I’ve contacted a number of TV companies and no one seems interested. PV: 16 Chandler wobbles or 8 QBO seem to be falling just short of 1 Metonic cycle (19 tropical years). No offense intended but the Cook story is contradiction in terms. If the natives conserved their astro observations (on bone, stone, other canvases like: skin) then they realized that Cook was intellectually advanced and offered friendship and exchange of ideas. But Cook was just parroting the texts and figures he himself couldn’t explain nor compute. The way I understood it, probably from Hawkins book, was that Cook’s almanac predicted the lunar eclipse and he told the natives the moon would be eaten up if they didn’t help him out. So it may well be untrue. So Newham has dated Stonehenge as an astronomical observatory from 8500BC. I don’t’ hear many Archaeologists mentioning this. Perhaps Carnac learned their art from Stonehenge? And the latest theory? From the Salisbury Journal in January this year. A LANDSCAPE architect believes she might have solved the mystery of Stonehenge’s origin. Sarah Ewbank believes the ancient structure was a two-storey “majestic roundhouse” and has used her 30 years of experience in design to create a scale model. It has taken nearly a year of research and studying the footprint of the stones to come up with the theory. She thinks it was once used as a multi-purpose venue and says not being an archaeologist has allowed her to think about it logically. The question that springs to mind is ‘what benefit did they gain from being able to predict an eclipse’? I can see that as the head honcho, I’d gain a lot of kudos from being able to foresee these events, but could this ability also be used for more pressing questions such as will it be a good harvest? I guess it would give the head honcho amazing power over the ignorant, and as we know POWER is important. Would have been when agriculture started, but simply counting days from the Winter solstice would be good enough to know when to plant in spring. But why such an elegant way of marking the calendar? Incidentally it seems the sun never rose over the heelstone but the harvest moon would have been eclipsed, that would be spectacular. There are suggestions that the Druids were the overlords of Britain at the time with the power to excommunicate people which meant they would be been outcasts in society. So did they wield this power by knowing how to calculate eclipses? Allegedly children were taken at a young age and learned the Druid Lore by wrote, did this include the way to predict an eclipse? Alexander Thom did extensive work on surveying stone age monuments and suggested the long sight lines they used would have detected the wobble in the Moon’s orbit from which they could have predicted the eclipses. Adrian Kerton says: “Would have been when agriculture started, but simply counting days from the Winter solstice would be good enough to know when to plant in spring.” Well, not exactly. From this site: “. All these cereals are well suited to the UK’s temperate climate. The majority of cereals are sown in the autumn (called ‘winter cereals’ because the young plants have to survive the winter in the open fields) the rest being sown in the spring. Winter cereals give a higher yield because the plants are well established before the spring crop is even sown.” That is the main harvest is planted before the solstice. And therefore you need to know or predict when that will be. So reading the time of year from some calendar is imperative. Ask Hesiod (Works and days). There are megalithic calendars that can do that, but how Stonehenge does it without having to keep tab of when the previous one occurred (which I’m pretty sure it can) I do not know. Adrian Kerton (earlier) says ” why would you move 75 large stones just so you could dance around twice a year?” It is assumed that the dancing occurred at the solstices. But how would they have known its the solstice. Wiki says “Unlike the equinox, the solstice time is not easy to determine.” Taking a long holiday at that time isn’t right for the winter solstice. Not when you are sowing your autumn cereal crop, and with the worst weather coming. Perhaps the course in archaeology should include two years on a farm. “Solar cycles are numbered from a minimum to a minimum since Cycle 1 of 1755/1766, the maximum was in 1761. And now we come to the cycle No. 24 which had its absolute minimum in late 2008 and should have its maximum around 2013. According to the law of GO (Gnevyshev-Oh) an odd-numbered cycle is more active and thus more sunspots that the number is even cycle preceding it. This allows to have an idea of solar activity cycles odd. But during these 23 cycles, the law of GO was raped by three pairs of odd-even cycles. Those are the cycle No. 4-5 so the solar cycle from 1785 to 1798 and from 1798 to 1810, the cycles No. 8-9 so the solar cycle from 1834 to 1843 and from 1843 to 1856 and then the cycles No. 22- 23 from 1985 to 1996 and from 1996 to 2007 is because contrary to the law of the GO odd-numbered cycle is more active than the preceding even cycle. If as was indicated Mr Hathaway (NASA, member of the panel forecasting the solar cycle) cycle No. 25 could be one of the lowest in the last century then there will be violation of the law between the GO N cycles 24 and 25 °. Violations of the law GO place near a time when the orbital motion of the Sun around the center of gravity is retrograde and when the orbital angular momentum of the Sun decreases a lot and quickly. At these times there was approximately an alignment of Jupiter-Sun-Saturn-Uranus-Neptune so the center of gravity is near the center of the Sun and reverse with an alignment of the Sun-Jupiter-Saturn-Uranus-Neptune around 6 years after the more or nearly one year. So a quick change in the distance between the Sun and the center of gravity. Because when Saturn-Uranus-Neptune are on the same side of the Sun while Jupiter has a shorter orbital period varies very quickly the distance between the Sun and the center of gravity. “This alignment of gas planets happens every 179.60 years. This is why the Sun orbits the center of gravity and center of gravity of the solar system are reproduced sequentially with a period of 179.60 years. This must be the cause of the cycle Suess or Vries as the minimum of the solar cycle falls when the orbital angular momentum of the Sun varies rapidly or every time when solar activity and temperatures have weakened either at minimum Oort, Wolf, Spörer, Maunder and Dalton. In the figure below there is the variation of the distance of the centroid-Sun, the speed of the sun around the centroid of the orbital acceleration of the sun around the centroid, the rate of change of the orbital angular momentum of the Sun. the number of Wolf sunspot and temperature anomalies in the northern hemisphere. Two spaced vertical dashes of approximately 43 years appear every 179 years. The gap between the two close enough vertical dashes is around 43 years or the period conjunction of Saturn and Uranus. Each vertical dashes represent a rapid variation of the orbital angular momentum of the Sun occurs when the center of the Sun passes close to the center of gravity, resulting in variations in angle theta fast and therefore an angular velocity that can become very high. Either when Jupiter is the opposite of the four Jovian planets from the Sun, as was the case in 1632 and 1672, 1811, 1851, 1990 and soon in 2030. Another argument says the 19 stones could represent draconic years. The difference between a Saros eclipse cycle and 19 DY is less than half a day. I would have thought the solstice was much easier to determine that an equinox. Just follow the setting sun, when it gets to the extreme it’s a solstice. Of course it moves quite slowly at the extreme so set a marker near approaching solstice, count the days until the sun has reversed and hit the marker again and you know when the solstice occurred. The recent excavations showing the feasting at Durrington walls and other archaeology tends to suggest they could easily mark the solstice, and from memory Alex Thom gives some examples. Interestingly the south American civilisations could often predict the weather by observing the Pleiades, it was hazier when an El Nino came along. It seems that solar activity will decrease in during the cycle 25, which starts around 2020. The observation of the sun’s halo requires to wait for eclipse, so in order to not miss possible dates one needs to work out the recurrence pattern (and education plan, and knowledge conservation, etc). The lunar apsidal cycle occurs 5 times for every 2 solar cycles (almost: 8.85y x 2.5 = 22.125y). But if the movement from perigee to apogee is taken as 1 unit the ratio becomes 5:1. Thanks for your very complete response and links. We do not have to wait too long to observe this event. The ancient Romans sent navigators to Britain to learn the trade. Thousands of students studied there. Partly this was a practical university. Like slide rules, mechanical observatories get more precise with size. Variations in horizon throw things off. Stonehenge has evidence of distant manicuring of the horizon, also the dirt ring makes a kind of constant reference. Finally, the top of the megalith ring would be a consistant reference. It is both a calendar and an observatory. IMHO, they also worked out the climate cycles and predicted warm and cold years. It ran, and was expanded, for several thousand years… Plenty of time to observe with it. Then precession screwed up some of the alignments, but by then they didn’t need giant stones to do their work… and moved on to smaller machines. Knowing the lunar tidal cycles and planetary alignment solar cycles, the predicions can be made via math and gross observations. BTW, Druids were from many generations after Stonehenge was built. 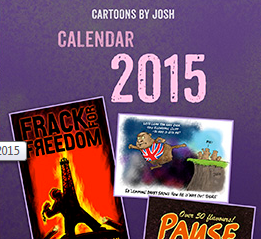 Gee, that looks familiar, I think… Dividing by ‘tropical year days’ of 365.2422 gives 99.994% agreement. Hmmmm…. Year in days x 360 x 1000 = circumference in feet. Somebody knew that several thousand years ago. I’m betting it was the folks observing at Stonehenge. One of the interesting questions of course is why Stonehenge fell out of use. why Stonehenge fell out of use.? 2200BCE or thereabouts saw the collapse of many civilisations across the world.